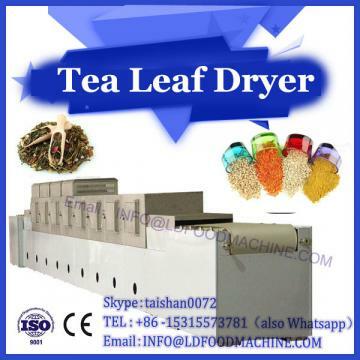 Tea dryers used in various places are often manufactured with reference to foreign prototypes. Although there are many advantages, there are also many problems such as high steel consumption, high cost, low production efficiency, and high coal consumption, which cannot meet the needs of production units. Therefore, we urgently need to go. Research new types of automatic dryers. 1. The heat volume wastes the above several dryers, and the heat air volume conveying mode, except for the fan of the Baron type dryer, is from the top to the bottom, and the other is input from the bottom to the bottom, so the heat volume is layer by layer. Weakened. In addition, the space formed by the bottom of the tank and the leaking tea compartment is 80 mm apart, so that most of the heat volume is wasted here, which actually weakens the baking effect applied to the tea leaves. In the existing dryer, the fermented leaves are fed from the top layer to the bottom layer, and the top layer of the temperature is the lowest (50 to 65 °C), which is layer by layer and the bottom layer is the highest. When the tea leaves are still in the upper layer, the tea leaves are still fermented, causing excessive fermentation. 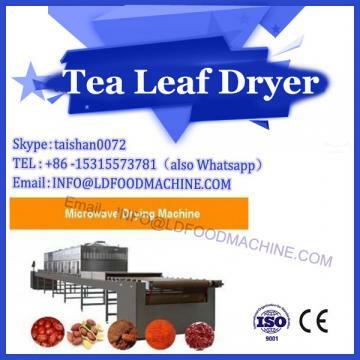 The moisture in the lower layer of the dryer is discharged upwards, which increases the moisture of the upper layer of tea, and the air volume from the bottom to the top is weak, and the moisture is not enough, resulting in reduced drying efficiency. 3. The dryer is not wet enough to affect the tea quality. 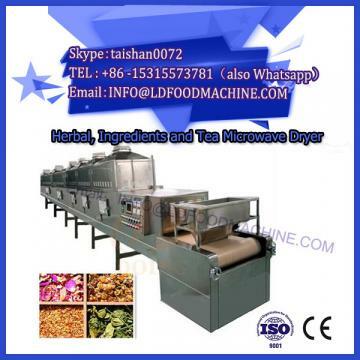 The wet tea leaves are in the oven, and the ventilation is good at the left and right walls. The tea leaves dry quickly. The middle tea leaves are not wet enough and dry slowly, so the middle tea leaves have high moisture. Samples were taken from three tea outlets. The moisture test was 3.2 to 5.6%, and the middle was 8.1%. The water content of the mixed tea was 5.3%, which was still in compliance with the moisture requirements of Maocha. At the same time, from the quality review, the aroma and taste of the tea leaves are relatively pure, while the middle aroma is low and boring, the taste is lighter, and the bottom of the leaves is darker. Due to the high humidity in the middle, the moisture is not transparent, and there is a steaming phenomenon, which reduces the quality. The hot blast stove needs to burn with a large amount of fuel to supply heat, and the oven is supplied. However, when the hot air enters the oven, the air inlet is not wet enough from the bottom to the top, and the heat is prevented from being conducted to the outside of the box at the bottom of the oven, and the tea is baked. The medium is weakened.